Nuhma immigrated to the United States from the Philippines with her family when she was thirteen. However the sounds and smells of her childhood—freshly caught fish, newly picked vegetables, bustling markets—continued to anchor Nuhma’s sense of home and inspire her lifelong passion for cooking. 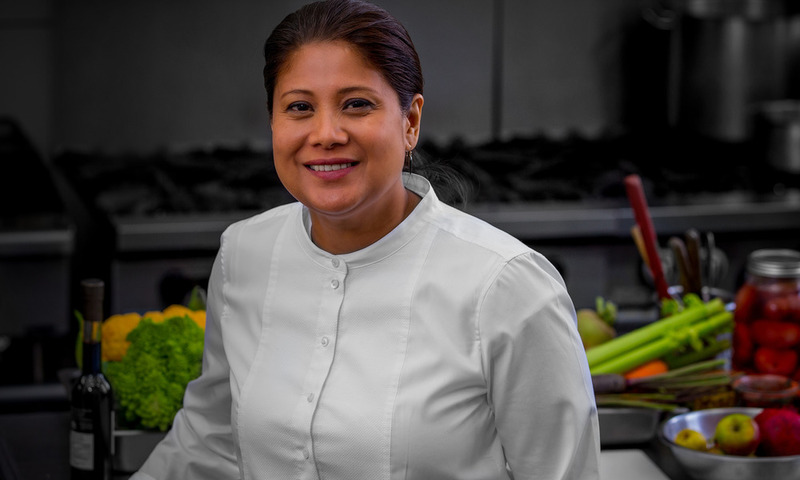 Nuhma moved to France when she was just twenty to intern under Pierre Hermé at Fauchon, the iconic French gourmet food company, before returning to New York to complete the Pastry and Baking Arts program at the Institute of Culinary Education. Nuhma worked at the Michelin Starred Bouley restaurant for two years, and served as a private chef for some of Manhattan’s elite before starting Nuhma NYC in 2014. Thanks to its exquisite yet approachable cuisine, unparalleled service, and famous fried chicken, Nuhma NYC quickly outgrew its Lower East Side location. Now based in Long Island City, Nuhma NYC includes a full team of talented chefs, expert wait staff and partnerships with local markets and farms—bringing new dimensions of taste and flavor to every event. When it comes to the quality of our food, we simply refuse to compromise. No cutting corners. No shortcuts. We truly believe that our commitment to innovative cuisine begins with the utmost regard for ingredients that are pure and honest. Our goal is to provide you with food that is prepared with fresh, organic, locally sourced ingredients from markets we know and farms we trust. Our aim is to create and serve a culinary experience that exceeds expectations, inspiring the individual palate with a diversity of flavors. At Nuhma NYC we embrace the potential of a good meal and its ability to create a lasting food experience. Food is not just taste or comfort; food is life. And we believe that food should be as varied and valued as life itself.